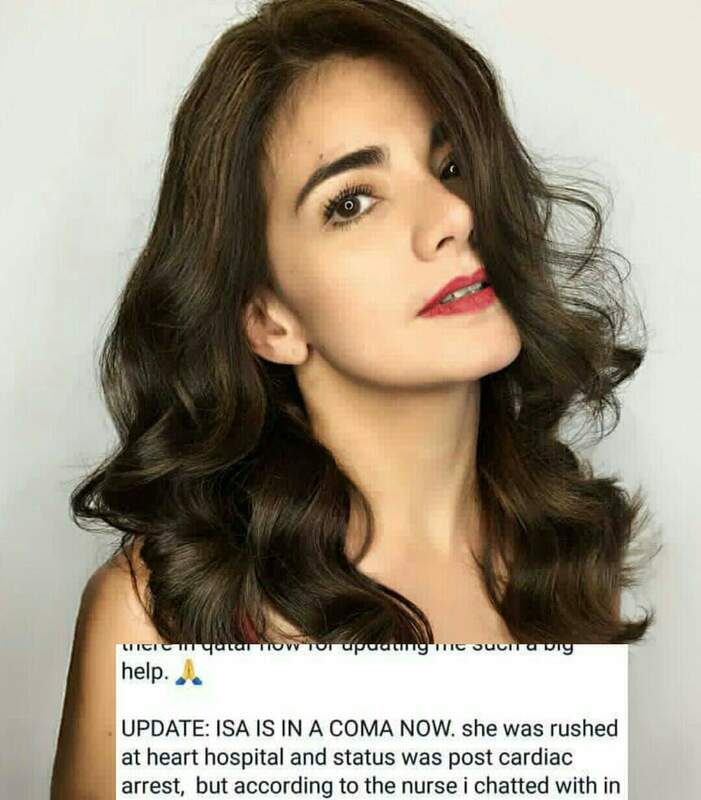 LATEST UPDATES: Isabel Granada has died last night, November 4, 2017, 10 days after she collapsed at an event in Qatar and fell into coma. Her death was confirmed by her family in social media. She was 41 years old, and left behind a 14-year-old son, Hubert Aguas. 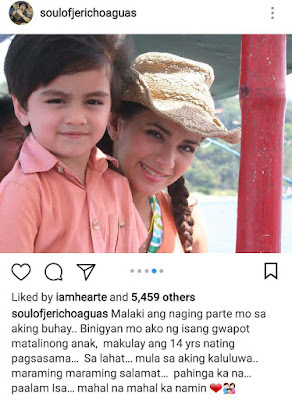 Both Isabel's husband Arnel Cowley and ex-husband, her son's father Jericho Genatsky Aguas took to their respective Instagram accounts hours after her death to express love for her. 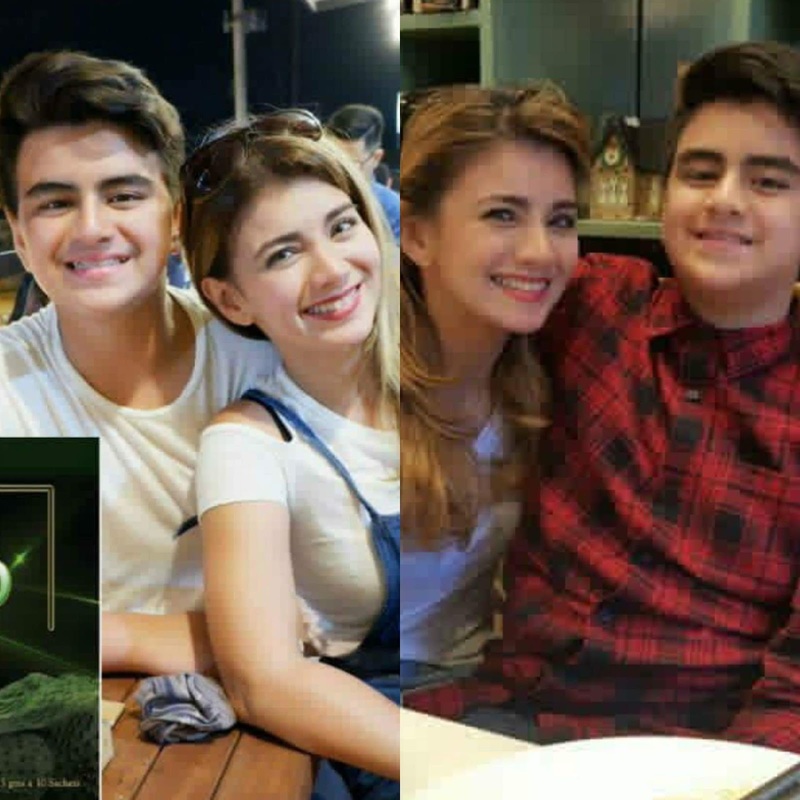 PREVIOUS UPDATE: Singer-actress Isabel Granada is fighting for her life now at a hospital in Doha, Qatar. 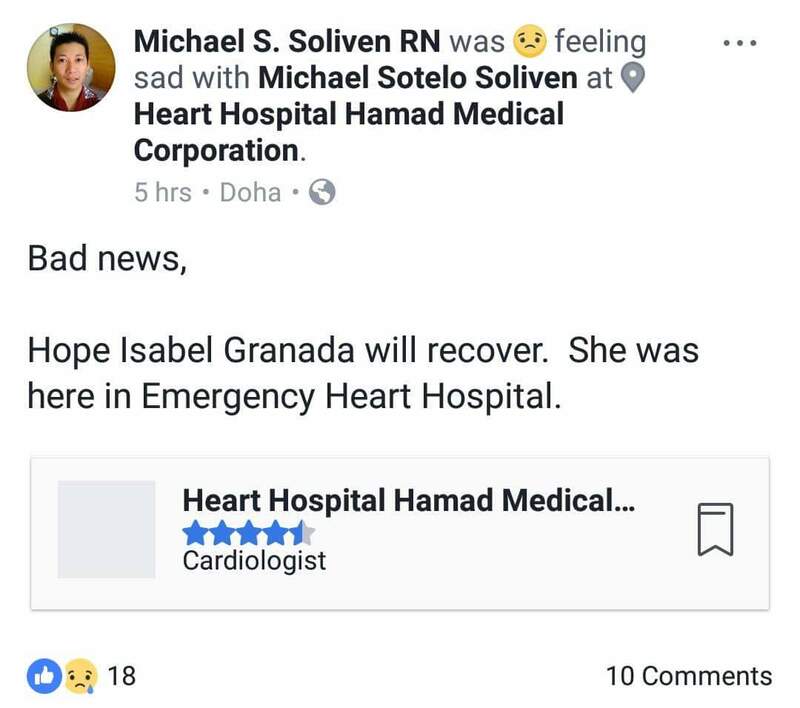 According to an update from her friend, actress Bianca Lapus, Isabel collapsed, had massive internal bleeding and currently in a coma at the Hamad Medical Corporation (HMC) Heart Hospital in Qatar. 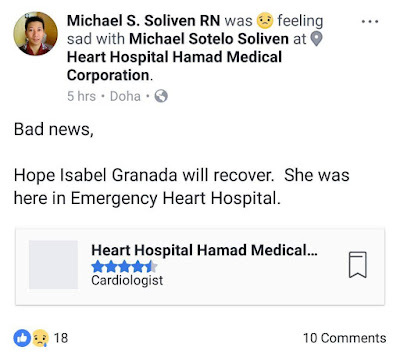 Bianca got the info from a concerned Pinoy who happened to be at the hospital where the 41-year-old actress was first rushed, before she was admitted to the Hamad hospital and put under close observation. Let's all pray that Ms. Isabel will be okay. 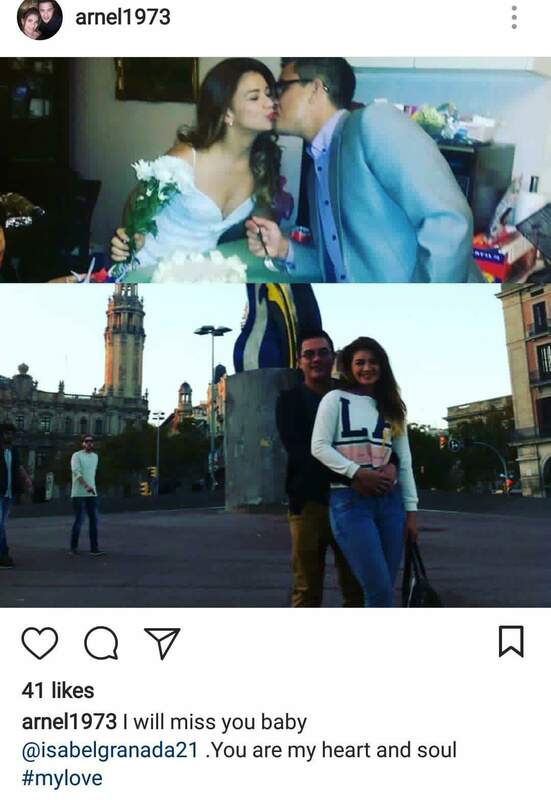 She is in Doha, Qatar for a show, and also, as part of her wedding anniversary celebration with businessman husband Arnel Cowley. @isabelgranada21: "Happy Anniversary .. Yeehee .. Baby you know in our Hearts .. That even if we get really busy ..our love never will it fade . I love you very much baby..#miamor..@arnel1973 Te quiero con todo mi Alma .thank You for The Love.. Thank you for Loving me and who i love .. What a Blessed Way to Celebrate it.. A Memorable Trip to Doha Qatar with our Pure Love for each other .. With God's Love in the center .. 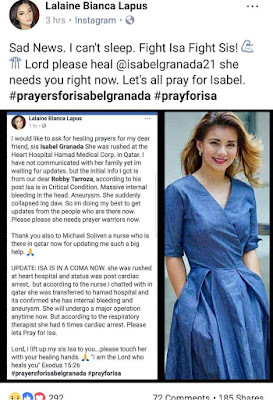 Nothing can go Wrong.. "
Before going to Qatar, Isabel went to Dubai first and stayed there for 2 weeks for a series of shows.